Koalas are in crisis. Each moment, more of their habitats are being taken away by loggers and farmers clearing lands, decreasing their population sizes to the extent of endangerment. Koalas in South East Queensland are on the brink of extinction due to this excessive tree-clearing. Our task was to increase awareness of the problem, and encourage the everyday citizen to petition to politicians to stop excessive land clearing. 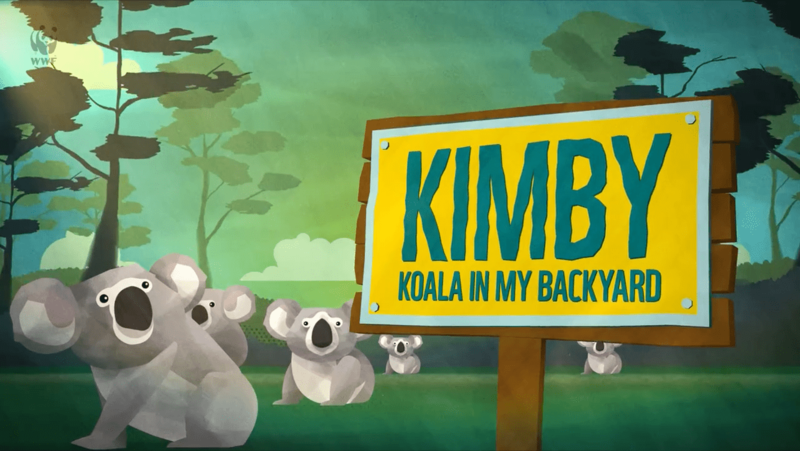 KIMBY, short for Koalas In My Backyard, is a play on the “NIMBY - Not In My Backyard” concept that environmentalists are sometimes accused of. 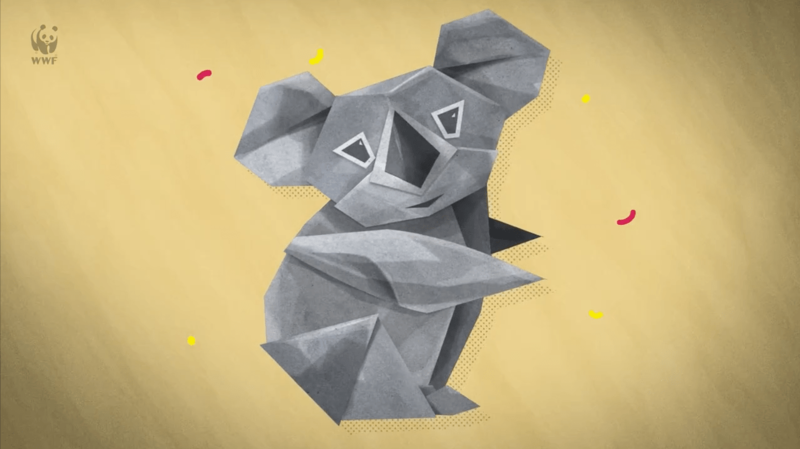 The objective of the campaign was to use the KIMBY animation to drive traffic onto the WWF Australia KIMBY website where individuals can fill out a petition to send a virtual origami koala, to key Queensland politicians to let them know you want to see Koalas In My Backyard. 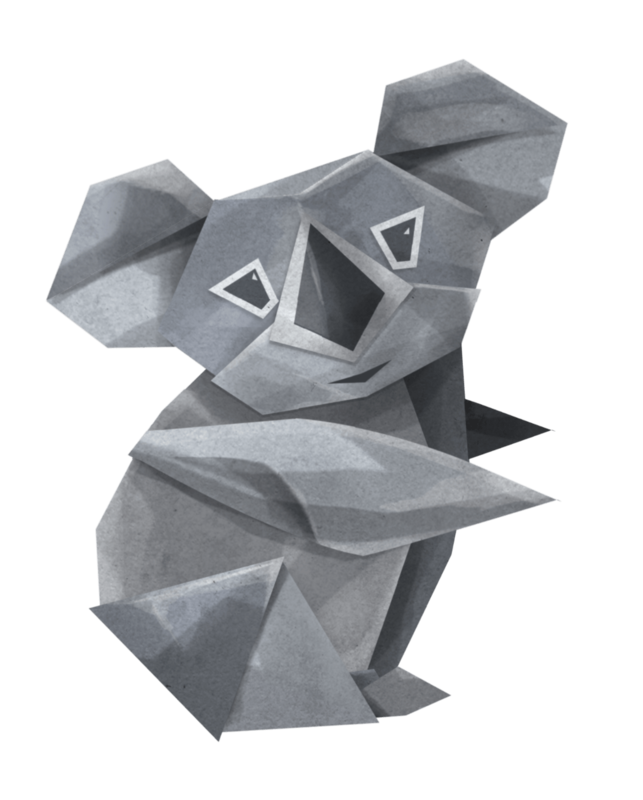 Supporters were invited to write their own message that was embedded in a digital origami koala and then emailed to the decision-maker. 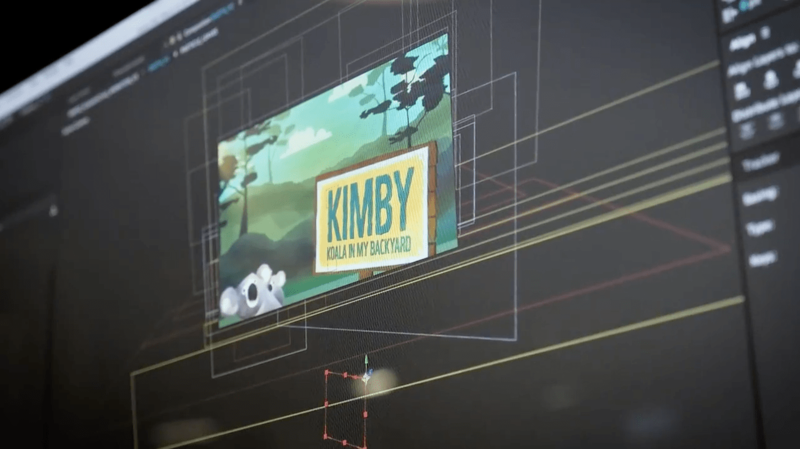 We developed a series of beautiful assets to bring the KIMBY concept to life, including an animated explainer video, key animated elements for the website (such as moving foliage on KIMBY’s tree) and the folding koala origami creative. 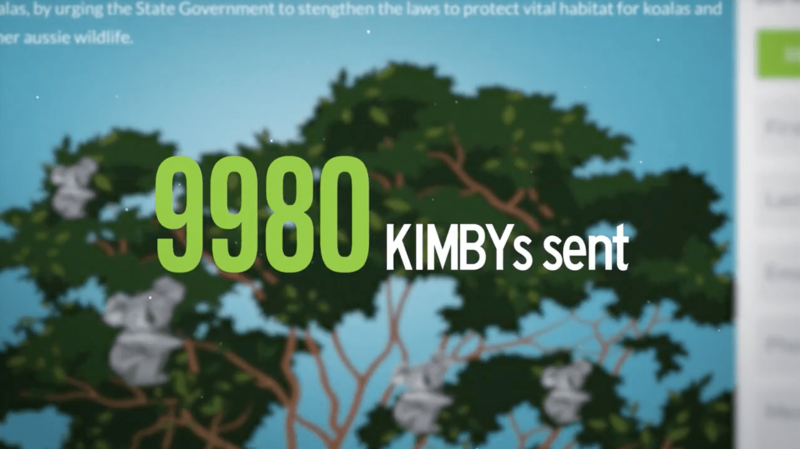 The more KIMBY’s sent the more chance legislation can be passed to control excessive tree- clearing and save the Koalas habitat. Online petitions are a dime a dozen. To truly persuade our audience to participate and petition, we had to make the cause worth noticing, worth participating in, and worth caring about. We created a platform that made petitions interesting through exclusive content. 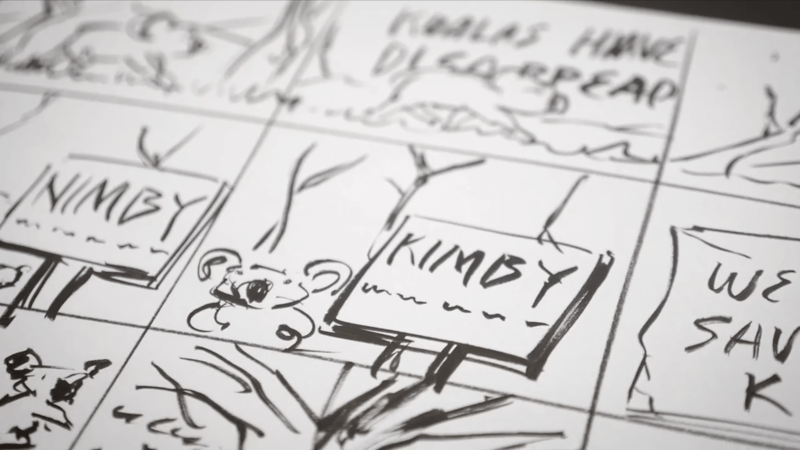 We developed and animated a short launch video that is crafted to grab the audience’s attention, create an emotional connection and drive them onto the main campaign website on the custom url: wwf.org.au/savekoalas where we introduced the second creative concept of KIMBY the koala. The overall look and feel of the campaign was dictated by the, "Folder Paper ," concept and meant assets had to be generated that bleed into the rest of the platforms in use to deliver the message. The, " Origami Kimby," character we developed was a very challenging yet integral part of the brief. To animate folder paper is a particularly challenging task, we were exceptionally happy with the outcome we created and the hours of perseverance really paid off. We developed and animated a short launch video that is crafted to grab the audiences attention, create an emotional connection and drive them onto the main campaign website. The overall look and feel of the campaign was dictated by the, "Folder Paper ," concept we developed and mean't assets had to be generated that bleed into the rest of the platforms in use to deliver the message. The, " Origami Kimby," character we developed was a very challenging yet integral part of the brief. 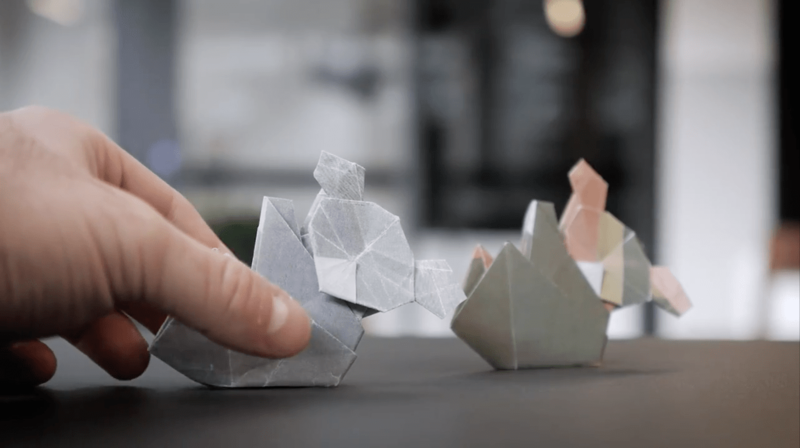 To animate folder paper is a particlarly challenging task, we were exceptionally happy with the outcome we created and the hours of perseverance really paid off. Overall we are proud to have achieved a visually striking and complete design ecosystem that has worked effectively in all the delivery mediums. The results of the campaign speak for themselves and it is incredible to work with such a great cause. This highly creative and talented team worked closely with us to deliver amazing content that really made our campaign stand out. Our supporters loved it! It was a pleasure working with Bareface and their ideas are always fresh and guarantee cut-through. They’re small team but can achieve so much. Bareface truly brought KIMBY to life!